25 years of NIBS were celebrated last week by members and founding member, ex-President and guest of honour, David Gillingham. At the Gala Dinner David talked about his vision for NIBS and creating the “Spirit of Internationalisation”. Inspiring international experience for students and staff was the initial aim and foundation of NIBS and David praised everyone for the growth and success of NIBS. 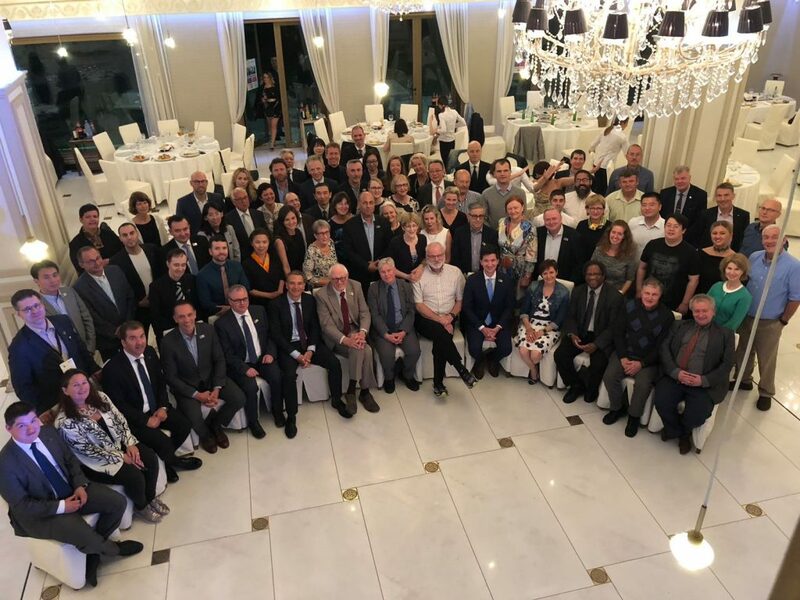 Hosted by Romania’s oldest and largest university, Babes Bolyai University was a magnificent host showcasing the history and beauty of Cluj – Napoca and demonstrating the warm welcoming nature of the Romanian people. A record number of delegates attended the Annual Conference and NIBS members spoke highly about the way in which NIBS is a caring, sharing network, warmly welcoming members and looking after each. Winners of the Business Case Competition were Dublin Institute of Technology, and Banku Augstskola School of Business and Finance, Latvia, won the prestigious David Gillingham Award for their work within their institution on international risk management integration. NIBS accreditation and re-accreditations were also awarded to institutions from all over the world. The host for NIBS 2019 Annual Conference was announced as Heilongjiang International University, Harbin in China, the first ever conference in China.